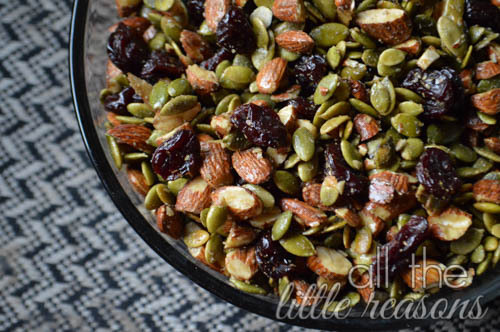 I grew up on homemade trail mix. Usually it consisted of peanuts, raisins, and chocolate chips and it was such a treat. This is my grown up, sort of healthified version of trail mix. I originally found the recipe on Food Network and changed it up a tiny bit.